I’ve been involved in a lively Facebook debate this week, started by a journalist colleague of mine who thanked the Gods that he’s never had to do a Schapelle Corby story. Tongue firmly planted in cheek, I replied that I did several – but that was back in 2004 and 2005, when the story was actually newsworthy. A third colleague weighed in, arguing that Corby is still newsworthy, despite how much we may all wish she wasn’t. And even though I sympathised with Karl Stevanovic and his impassioned rant, I’m forced to agree. Sadly, she is. And here’s why. Schapelle Corby – is she really worth all the fuss? In A Theory of News (1998) journalist and academic Murray Masterton developed some universal news values – ingredients that make a story newsworthy, no matter where you are in the world. They are (in order of importance): Impact, Timeliness, Currency, Proximity, Novelty, Prominence, Human Interest and Conflict. It’s worth noting that a story only has to tick some of these boxes to be considered newsworthy. Schapelle Corby’s return home ticks quite a few, as I’ll demonstrate. IMPACT: This news value is all about how many people the story impacts, and how profoundly it impacts them. In my opinion, Corby’s return home has very little impact on anyone other than herself and her immediate family. The Impact factor is not high. No tick here. TIMELINESS: This is the trigger for the news story, the reason why it’s newsworthy now. Clearly, that’s because she’s finally returned home. Big tick here. CURRENCY: This news value looks at what general, current issues the Corby story can be linked to. To my mind, this is crucial because Australians getting caught with drugs overseas is always a hot topic but even more so right now because of the recent arrest of Cassie Sainsbury. Another big tick. PROXIMITY: Proximity is all about where the story take place. Generally, Australians are more interested in news that happens here, or news that involves other Australians. This latest development in the Corby saga ticks both of those. NOVELTY: This news value takes note of the unusual, the bizarre, the novel. Hundreds of Indonesian police in attendance, family members wearing grotesque masks, a photo of lost boy William Tyrrell on Corby’s handbag and an elaborate getaway plan involving numerous decoy vans certainly ticks that box. 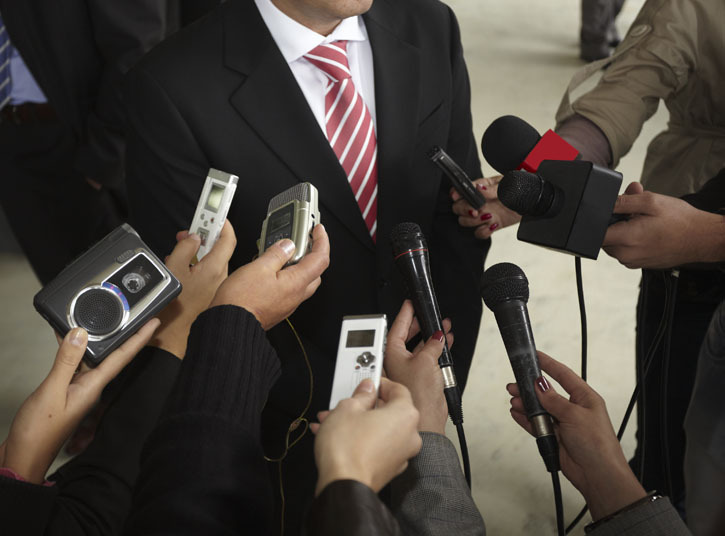 PROMINENCE: The more well-known you are, the more newsworthy you are. That’s why celebrities make news for doing ordinary, everyday stuff. Corby is pretty much a household name in Australia, and that’s not even taking into account the 100,000+ Instagram followers she collected in a 24 hour period. Tick. HUMAN INTEREST: Journalists often use this news value to start their reporting with one person’s experience, and then they flesh out their story from that central point to include the wider picture. An intimate, no-holds-barred interview with Schapelle would satisfy this news value. So far, this hasn’t happened so no tick from me. CONFLICT: Let’s face it, a large bulk of news stories have some sort of conflict in them. It’s a journalist’s job to report all sides of a story, especially when those sides disagree. The conflict in this story includes a call by Pauline Hanson and Indonesia’s National Narcotics Board for Corby to stay in Kerobokan prison. But, there’s even greater conflict between Corby, her family and the media. By deliberately dodging and weaving the media pack, taunting journalists and sending them on wild goose chases, Corby and family have created conflict that didn’t have to exist. That’s a tick from me. So all in all? Schapelle Corby’s return home ticks 6 out of 8 universal news values. Not bad – it’s clearly a news story and that’s due, in part, to the actions of Corby and her family. The real question is, how big a story is it? Big enough to warrant extended live coverage on multiple news networks? Given that it doesn’t tick the most important news value, IMPACT, I think the coverage was overblown. And perhaps that’s what we’re all despairing at.